Holding property and assets within a limited liability company (LLC) is a powerful and flexible option for Self-Directed IRA investors. These entities provide a wide array of possible benefits to Self-Directed IRA owners, including enhanced privacy benefits, asset protection benefits and more choices when it comes time to file taxes. 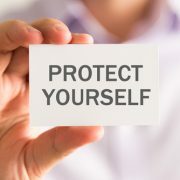 Many people who hold LLCs within IRAs or a Self-Directed IRA are attracted by the convenience of ‘checkbook control.’ That is, the ability to name the investor as the managing partner of the LLC, which enables the investor to write checks directly from the LLC account to manage the company. Attempting to pay yourself from the LLC within the retirement account. Unless you’re taking a distribution, this is nearly always a violation of prohibited transaction rules. You also cannot write checks directly to certain immediate family members: Your spouse, descendants, ascendants or those of your spouse, any advisors who work with you on the IRA in a fiduciary capacity. You also cannot be writing checks to any entities any of these individuals may control. All of these people and entities are disqualified parties by law, and writing checks out to any of these individuals could result in severe taxes and penalties. The IRS has enforced this provision many times. Unless you’re careful, it’s easy to run afoul of prohibited transaction rules. You cannot make a transaction that you or any other disqualified person will directly benefit from, except in the general sense of increasing the value of your retirement account. Failure to properly draft the operating agreement. Your LLC operating agreement is the primary governing document within your LLC business. There are many ‘generic’ LLC documents you can purchase or download from the Web. But if you hold the LLC within a Self-Directed IRA, 401(k) or other self-directed retirement account, there is specific language your operating agreement must contain in order for it to work within a self-directed retirement account. Failure to properly establish the LLC. For example, some individuals neglect to complete filing with their state secretaries of state, for example, or properly obtain an EIN from the Internal Revenue Services. Failure to complete tax forms. Many LLC managers run into trouble by failing to complete and distribute key tax reporting documents including 1099s and K-1s. When you establish an LLC, you may be taking on new and unfamiliar tax and reporting responsibilities, and these can be very tricky for novice business owners. For these reasons, we suggest using caution when employing LLCs within self-directed retirement accounts. To avoid trouble, you may consider routing transactions through your third party administrator, such as American IRA, rather than writing checks out directly. 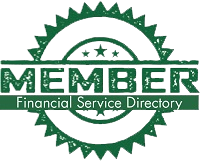 Why forming an LLC commonly called a Checkbook IRA for your Self-Directed IRA is an ideal way to invest?